Celebrating the fist thread of food broad, I bring you the british classic with a twist! 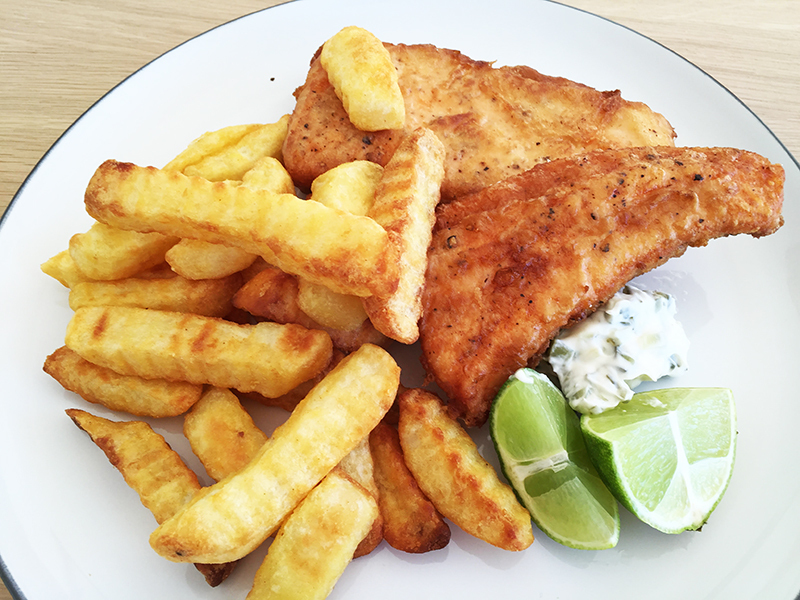 Deep-fry batter salmon fish, oven bake chips, home made tartar sauce with lime wedges. Best accommodate with ice cold beer. Everything she makes is. And she wonders why I do anything I can not to cook. Wonderful dish and looks great too. I would love to have that for dinner. Wow, amazing recipe! It’s a healthy one. This one is an excellent one. Thanks for sharing. Looks good. Thanks for the tip. It was very useful. You made it and they actually turned out well. Happy to read your post and appreciating you for making these better and yummy foods. Thanks a lot. You will get academic integrity, quality and punctuality from sites available now.